But why is Lily alone and isn’t there anyone who can help her? What about the lonely old woman in the flat downstairs who wonders at the cries from the floor above? Or the grandmother who no longer sees Lily since her parents split up? Lily is almost 3 and she doesn't like the dark and knows that she shouldn't answer the door to strangers, so when she wakes up alone with no mummy, she cries (a lot) but then she doesn't really like crying either. We are first introduced to little Lily who is alone and has to fend for herself, but still, follow what mummy has taught her. All the while, a woman is rushed to hospital with no id, no clue who she is and no signs of her waking up - time could be running out for everyone involved. The woman downstairs from Lily has noticed there is a lot more noise than usual, more crying - but who is she to interfere? Meanwhile families are falling out - relationships are strained, and still - a woman lays in a hospital bed with her dreams and Lily is getting colder, hungrier and she doesn't know what to do. 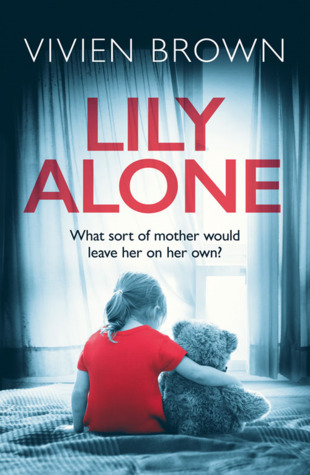 Lily Alone is a gripping, thriller of a read that is fast paced and hooked me in from the first page. We meet a while variety of characters each of whom are all key players in the narrative, and as we move forward we learn more about all of them, how their decisions in haste have affected all their lives, some in more drastic ways than others - but all of them somehow. Vivien has a wonderful writing style that for me was similar to that of Diane Chamberlain, an event happens - and then we work back to what actually happened whilst discovering the characters and what led them to the situations they are in. This was a breath of fresh air and more relatable than some of the more far fetched thrillers, how one decision really can impact so much more. Vivien Brown lives in Uxbridge, on the outskirts of London, with her husband and two cats. 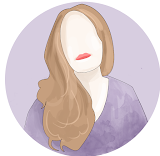 After a career in banking and accountancy and the birth of her twin daughters, she gave up working with numbers and moved into working with words and has never looked back.